Airbus has announced that it will collaborate with the defending champion of the America's Cup, Oracle Team USA to design the next yacht for the team. But why would a company that designs and builds commercial jets want to get into the sport of yacht racing? It makes more sense than you might think. "This is a completely new endeavor for us. By taking on an extreme technology and sports project of this magnitude we stretch our competencies and further boost our agility.. There are so many similarities between the America's Cup yacht and our aircraft design, that each partner benefits from an excellent platform not only to learn and grow but also to win." Nobody knows more about wing design and aerodynamics than the guys who build airplanes. 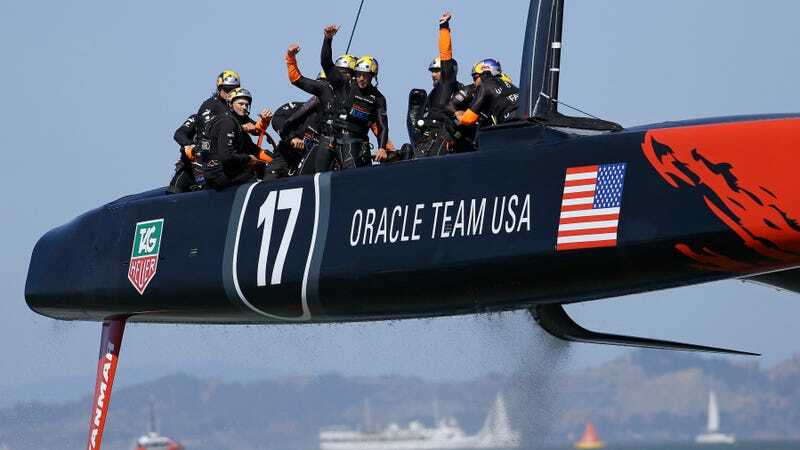 Airbus will share the know-how of its engineers and experts in fields such as aerodynamics, instrumentation and simulation, composites, structures, hydraulics and data analysis to work with the Oracle Team USA design team. The boats now skim along at speeds more than double what the actual wind speed is. In the 2013 America's Cup, (which Oracle Team USA also won), competitor Team New Zealand topped 50MPH with their wingsail-equipped yacht.